Leaders from United Nation's member nations have agreed to formally adopt the 2030 Agenda for Sustainable Development. The agenda is made up of 17 sustainable development goals spanning areas such as innovation and infrastructure, as well as responsible consumption and production. Creators of the agenda also set out clean targets to promote sustainability in public procurement. The agenda will be a large and collaborative member by all U.N. nations. In a statement released by the White House on Sep. 27, the Office of the Press Secretary noted that "the adoption of this new framework is just the beginning, and we must recognize that no government or country can deliver on the promise of this ambitious agenda single-handedly." The agenda sets global goals and priorities over the next 15 years. The core initiatives within the agenda promote overall transparency when it comes to global sourcing and seeks to rid multinational production of things like theft, tax evasion and the immoral practices of modern-day slavery, according to Supply Management. 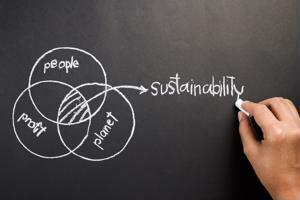 Targets have been specifically set to encourage large and transnational companies to integrate new sustainability practices into their annual reporting cycles. The U.N. General Assembly will be meeting and discussing other agendas in New York City through Oct. 6. Topics will span from ISIS to climate change, but the adoption of the 2030 Agenda stands to be the most impactful news for the world of supply management.